When you invest in repairs or renovations, it can pay off in big ways, including boosting resale value and reducing the amount of money you spend on heating and cooling.2 If you’re planning to make updates to your living space, consider a home improvement loan to cover the cost. Home equity loans and personal loans are the two main options for home improvement financing. The right loan for your project depends on your personal credit situation, the amount of equity you have available and how much money you need for your project. A home equity loan works like a second mortgage with fixed terms and equal monthly payments. The amount available to borrow is based on how much of your existing mortgage has already been paid off. Lenders typically offer around 85 percent of the total value of your home and subtract what you still owe to calculate equity.3 This limits how much you can borrow, especially if you’re a new homeowner and haven’t made many mortgage payments. However, if you have a lot of equity, you may be able to secure a sizeable loan. Shorter loan terms mean you spend less time dealing with loan debt, but you’re also likely to owe a significant amount every month. Personal loan interest rates tend to be higher than those for home equity loans, although good credit could help you secure a lower rate. One beneficial tradeoff of using this type of loan for improvements is the ability to preserve home equity and put it toward bigger projects in the future. A common mistake among homeowners is to jump right into an improvement project and not think about a loan until they run out of money in the middle of the job. Home improvements always cost more than you initially think, so it’s important to calculate the total cost in advance and apply for a loan of the appropriate amount prior to beginning a project. Online alternative lenders: These lenders specialize in funding for people with poor credit scores. However, short terms and high rates can put you in a bind if you’re already struggling with your finances. Energy efficient mortgage (EEM): Improvement projects conducted with the specific purpose of increasing a home’s energy efficiency may qualify after a home energy assessment. USDA Single Family Housing Direct Home Loan: This type of financing is sometimes extended to homeowners in rural areas who need to make renovations or repairs. Credit cards or store financing: For small projects, charging the cost to your credit card or using a branded card from a home improvement retailer may be the easiest option. Because home improvements can increase property values and make your home more comfortable to live in, it’s worth taking the time to find a lender offering the right loan type and structure to support the project you’re planning. Prior to getting started, research all the available options, and determine what rates and terms you can secure in your current financial situation. Compare the offerings from several different lenders and remember to be discerning when dealing with alternative options promising big loans for people with bad credit. Take advantage of free quotes to get more information whenever possible so that you can compare monthly payment obligations and determine which structure fits your budget. The state of your credit, the amount of equity you have, and the stability of your income can all affect how much financing you can secure for home improvements. Make a list of your top choices in lenders, and discuss you needs with each to see who can provide the most appropriate financing and the best customer service. With the right lender backing your project, you’ll be on your way to a more beautiful, comfortable home in no time. 1 HomeAdvisor, 2018 True Cost Report 2 Brennan, 5 Benefits of Home Improvement Projects 3 U.S. News & World Report, The Best Home Improvement Loans of 2018 4 Earnest, Home Equity Loan vs. 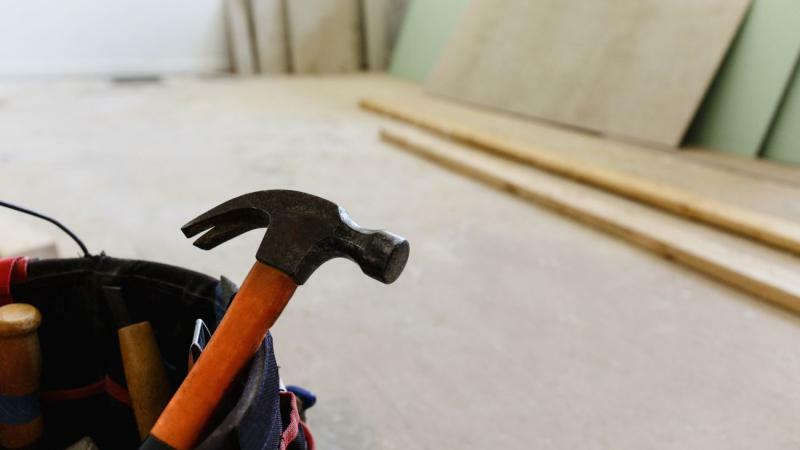 Personal Loan: What’s the Difference for Home Improvement Projects? 5 SoFi, How to Choose a Loan for Home Renovations 6 One Smart Dollar, 6 Common Home Renovation Mistakes to Avoid 7 Unison, How Long Does It Take to Get a Home Equity Loan or HELOC? 8 Homebridge, What is a Rehab Loan?